We’ve kind of been on a burger kick recently. 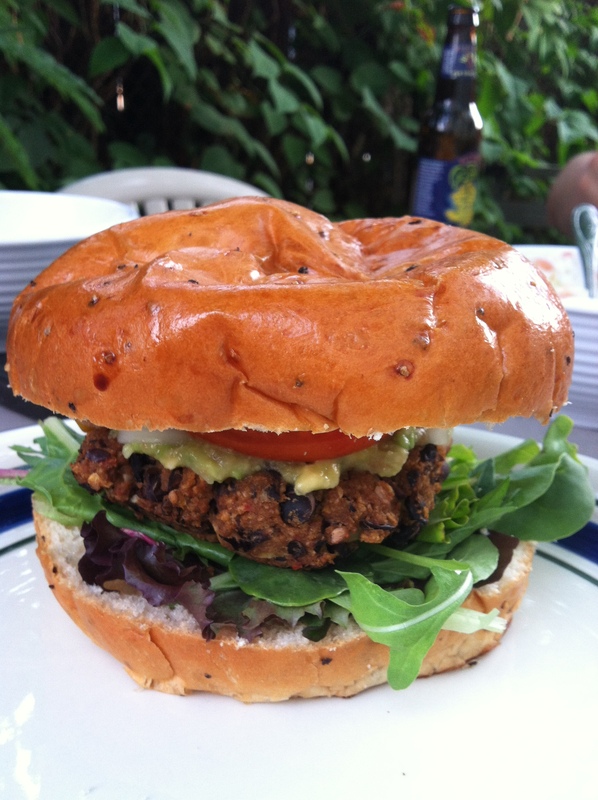 First the chickpea burgers, then quinoa burgers (post coming soon! ), and now black bean burgers. 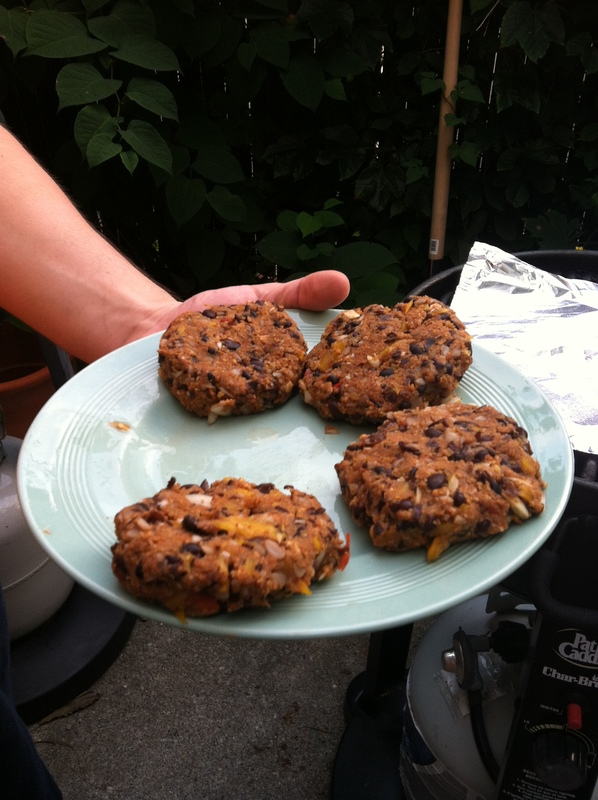 Of all three, the black bean burgers held together the best and we were able to make them on the grill, which is such a plus since it’s been so hot and humid. I got the recipe from All Recipes; they are a touch spicy, but nothing too crazy. Next time you fire up the grill, give them a try! Drain and rinse the black beans, put them in a bowl, and mash them with a potato masher. Put the pepper, onion, and garlic into your (new! yay!) food processor and chop. It was super chopped in a matter of seconds, so be careful! Add the pepper mixture to the mashed black beans and stir together. In a separate bowl, mix together the egg, chili powder, cumin and srirach until smooth-ish. 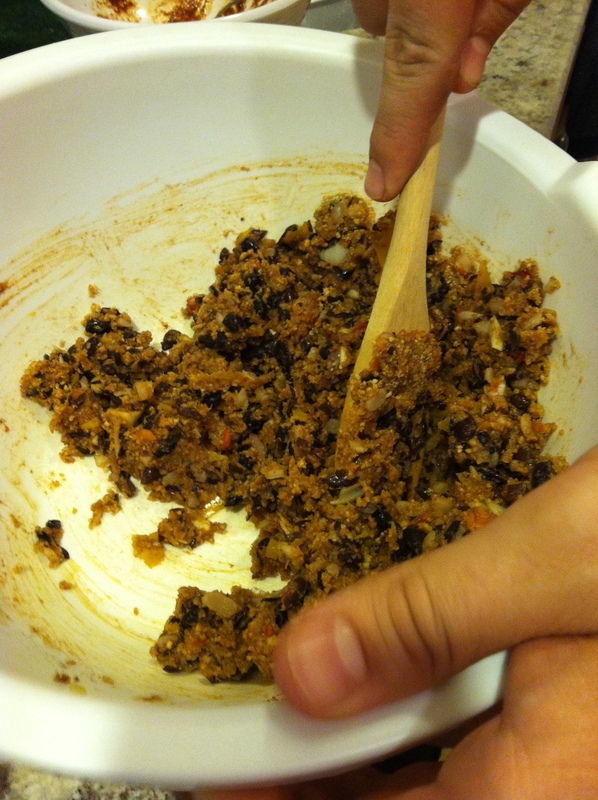 Add the liquid mixture into the black beans and then add the bread crumbs. Stir together until mixed well. Form into four patties. Place the patties on a piece of aluminum foil on the grill (not directly onto the grill slats). We topped ours with some quick guacamole, spring mix lettuce, and tomato. Yum!